A man has been arrested in connection with the alleged murder of a man at his home in Fife. 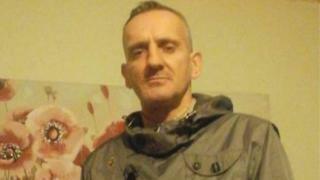 Kevin Byrne was found dead in Alison Street, Kirkcaldy on Tuesday 5 February. The 45-year-old, who had his left leg amputated and used crutches, was also known locally as Kevin Forrester. Police have arrested a 30-year-old man and said that inquiries, led by the Police Scotland major investigation team, were continuing.